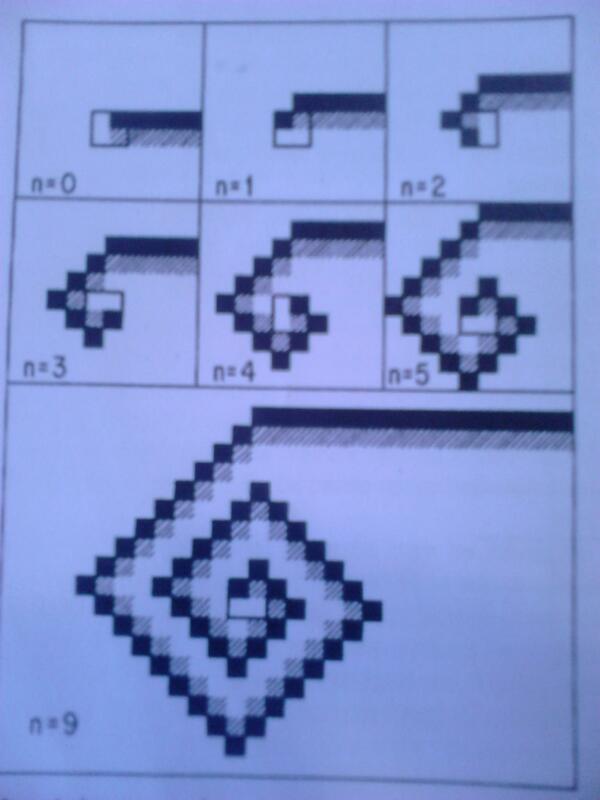 I want to illustrate the iterations of a cellular automaton picture-by-picture in some slides. For those not familiar with the topic, imagine a two-dimensional grid of square cells where each square in the grid can have a "state" (which will be represented by its color). Every iteration or timestep, the state of a cell/square changes depending on its surroundings and current state - its color should change in the next picture. Is there, maybe, a package for drawing cellular automatons already? If not, is there a smarter way to use TikZ to draw many iterations of a cellular automaton than to manually draw the grid and color it by hand? If those last two questions are too localized/hard: Are there other "control structure" commands similar to \foreach that I could use to draw using some "rules", so that I don't have to color each square by hand? After considering the situation to the best of my knowledge, I want to try an implementation with the matrix command in TikZ. I will define a matrix of empty, minimum-sized and square cells, and change the style of the nodes according to the slide number. This might very well be a suboptimal approach, but since the pgf-magic happening in the answer by Mark Wibrow is still almost undecipherable to me, I think this the best way forward. A cell that is resting goes into the excited state if any of its neighbors are excited themselves. An excited cell goes into the refractory phase. A cell in refractory phase goes into the resting state, regardless of the states of its neighbors. I realize my problem is highly localized, and don't mind if I need to adapt potential answers to fit my purposes if they describe a general way the problem could be tackled; what I am trying to learn is elegant ways of bending TikZ to one's will, so those answers are very much welcome. % any arbitrary string as long as they are different. % detection is not necessary. Not the answer you're looking for? Browse other questions tagged tikz-pgf beamer automata tikz-matrix or ask your own question. Is there an implemented way to draw Wolfram's elementary cellular automata?